Chief Minister Pema Khandu today showcased Arunachal Pradesh as one of the most compelling holiday destinations in India in his bid to woo tourists at the cultural festival ‘Songs and Dances of Northeast’ here at CIDCO Exhibition and Convention Hall, Vashi, Navi Mumbai. 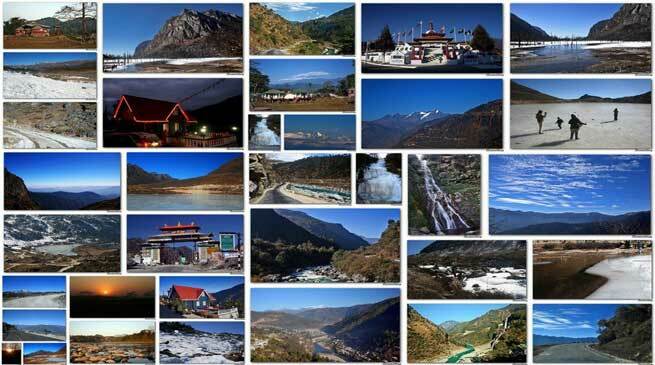 “Arunachal Pradesh, the land of the rising sun is perched in the north-eastern tip of India and is one of the most compelling holiday destinations in India. This remotest outpost of the North Eastern state entices the adventurer with its picturesque Himalayan landscapes with snow-capped mountain peaks crisscrossed by mighty rivers and pristine mountain streams,” he said during the inaugural function of the festival, which was attended by MoS Home Kiren Rijiju and Maharashtra Education and Art & Culture Minister Vinod Tawde as Chief Guest and Guest of Honor respectively. Songs and Dances of North East 2016’ is being organized jointly by Government of Arunachal Pradesh and North East Council (NEC), Ministry of DoNER, Government of India. Conceptualized and designed by NEC this event aims to bind together the diverse culture and heritage of the North East on a common platform and connect it with the rest of India. It began in the year 2015 and is held by rotation in different parts of the country as part of the series of events planned by NEC and DoNER. The first edition of the festival was hosted by Meghalaya and held in Delhi. Welcoming everyone to the festival as the host Chief Minister, Khandu said the event was a great opportunity for the people of western India, especially Mumbai to know and understand about the cultures of Northeast India and a step towards National Integration. “India as a nation is a marvel because it endures on its diversity. Our diversity is our strength. India is and always should be the epitome of Unity in Diversity,” he said. The daylong festival offered the northeast region and its rich and vibrant culture – food, songs, dances, attires, etc. in one platform. Highlighting Northeast India as one of the most ethnically diverse regions of the nation, Khandu asserted that the region has God gifted endowments in terms of natural beauty – Himalayan landscape, beautiful and fertile valleys, rich flora and fauna, mighty rivers and pristine lakes. The region also boasts of rich heritage as evident from Rang Ghar of Sibsagar Assam, Tawang Monastery of Arunachal Pradesh, Kangla Fort in Imphal Manipur, Ujjayanta Palace in Agartala Tripura, etc. Northeast region of India is a destination unexplored, he said. Popular folk dances such as Oki Soyim of Nagaland, Cheraw of Mizoram, Wangala of Meghalaya, Cham of Sikkim, Lai Haraoba of Manipur, Hojagiri of Tripura and Bagurumba of Assam were performed during the festival. From Arunachal — Buya dance of Nyishis, Peacock dance of Khamptis, Erap dance of Galos and Pakhu Ittu dance of Apatanis were showcased. Apart from folk dances, the best of North Eastern folk fusion and contemporary musical bands, arts and handicrafts have been exhibited at the festival. Chief Guest Rijiju asserted that the Center is giving full attention to northeastern region in infrastructural development. He also assured that a similar conglomeration of North-East Students studying in Maharashtra would be arranged in collaboration with Maharashtra government in November next. To a round of applause, Maharashtra Education minister Tawde announced that a nodal officer would be appointed to oversee education related issues of NE students studying in Maharashtra.